Apples to Applique: Fun Thanksgiving Activities! Can you believe Thanksgiving is just two weeks away?! Where is this school year going? 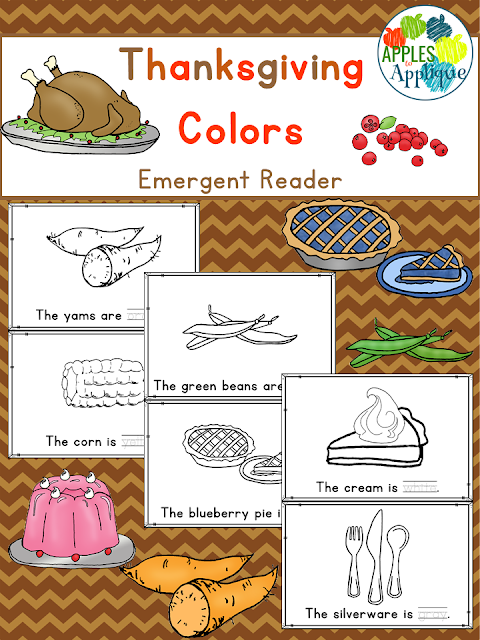 I just wanted to quickly share with you a couple of fun Thanksgiving resources. They are both no-prep, which makes them perfect for using as a culminating activity after a class Thanksgiving party. The first one is a Thanksgiving Colors Emergent Reader, from my new line of seasonal color books. Students will color in a seasonal item for each of 11 basic colors: red, orange, yellow, green, blue, purple, pink, brown, black, gray, and white. They will also trace the color word, giving them practice spelling. Click here to get this resource! 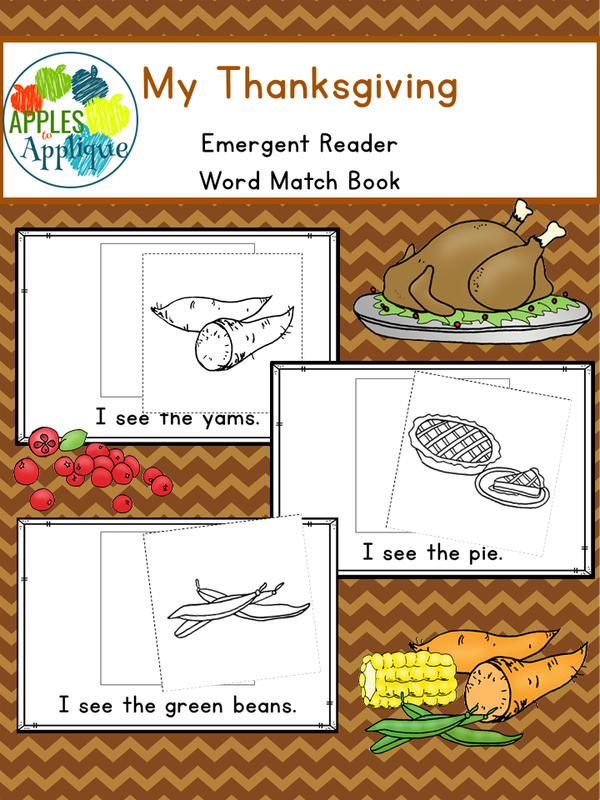 The second resource is a Thanksgiving word match book with the same sight words and sentence pattern on each page, to assist in learning to read. Students build fine motor skills as they cut out pictures to match to the words. Get this resource here! I hope you and your students enjoy these activities! Have a blessed Thanksgiving!